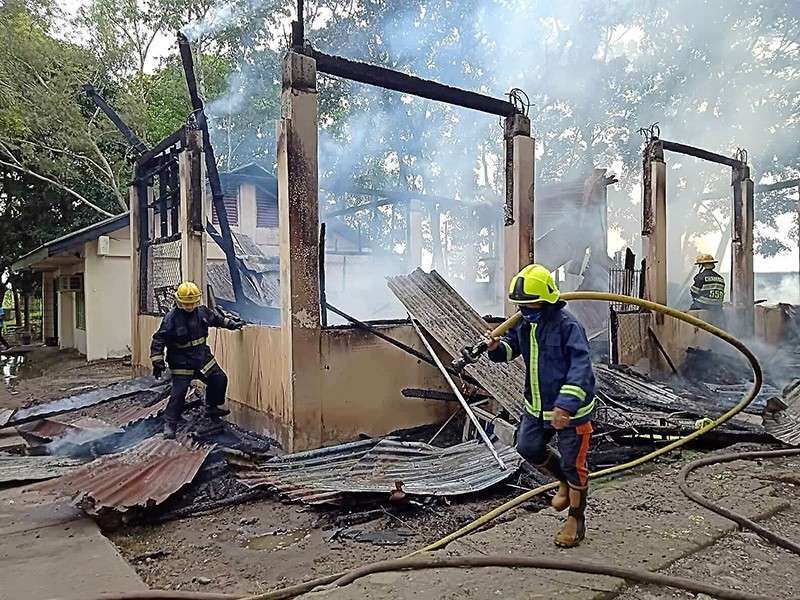 AN ESTIMATED P1 million worth of properties were destroyed in a fire that razed a stockroom and damaged the adjacent school buildings of Ramon Torres Taloc National High School in Bago City, Negros Occidental on Thursday, January 24. Bureau of Fire Protection said the fire broke out at 8 a.m. and resulted in the temporary suspension of classes. The fire started from the stockroom made of light materials, where paints, tables, and other old valuables were placed. It spread to the two other buildings, destroying 21 out of 50 computer units from the computer laboratory of the senior high school building. No injuries were reported as students, faculty, and staff immediately vacated the buildings. Arson investigators are eyeing faulty electrical wiring as the cause of the fire.